NASHVILLE, Tenn (Reuters) - Federal Reserve policymakers appeared deeply divided on Saturday over how seriously problems in the world economy will effect the U.S., a fracture that may be difficult for Fed Chair Janet Yellen to mend as she guides the central bank's debate over whether to hike interest rates. Though last week's decision to again delay an interest rate increase was near-unanimous, drawing only one dissent, St. Louis Fed President James Bullard called the session "pressure-packed" as members debated whether global uncertainty or the continued strength of the U.S. economy deserved more attention. In the end the committee felt that tepid global demand, a possible weakening of inflation measures, and recent market volatility warranted waiting to see how that might impact the U.S.
Bullard, who does not have a vote this year on the Fed's main policy-setting committee, said he would have joined Richmond Fed President Jeffrey Lacker's dissent, and worried the central bank had paid too much attention to recent financial market gyrations. Markets sold off sharply this summer over concerns about a slowdown in China and weak world growth, leaving Fed officials to vet whether that reflected a short-term correction or more fundamental problems on the horizon. "Financial markets tend to wax and wane, sometimes suddenly. Monetary policy needs to be more stable," said Bullard, who in prepared remarks here to the Community Bankers Association of Illinois said he did not think the Fed "provided a satisfactory answer" to why rates should stay near zero. The economy is near full employment, and inflation will almost certainly rise, Bullard said, leaving the Fed's near seven-year stay at near zero rates out of line with the broad economic picture. In a statement Lacker said he felt the current low rates "are unlikely to be appropriate for an economy with persistently strong consumption growth and tightening labor markets." 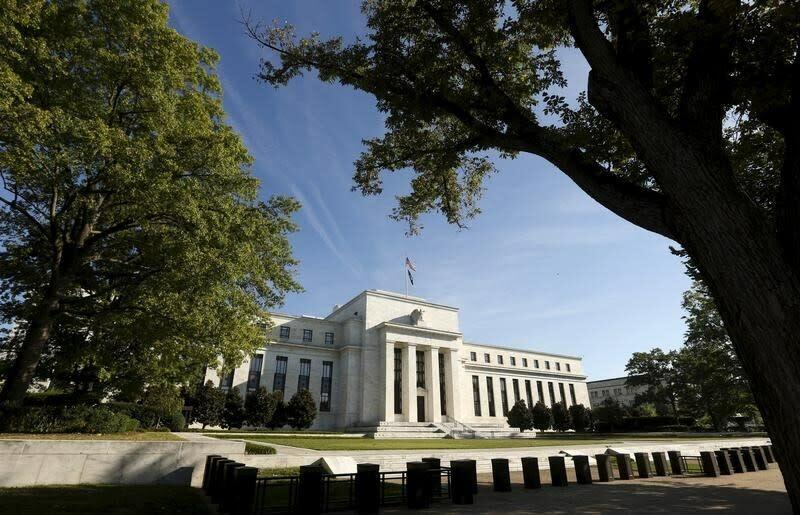 However at least for now the Fed set aside such concerns out of deference to a different worry: that a weak global economy may pull down the U.S. Specifically Fed officials, including Yellen, said a dip in measures of inflation expectations was worrisome if it proves to reflect eroding confidence in the recovery. The expectations of businesses and consumers about inflation is thought to play an important role in the actual pace of price increases, as well as in decisions about savings, investment and consumption that are central to economic growth. San Francisco Fed President John Williams in remarks on Saturday laid out the case for caution, and suggested he and others now want more proof before a rate hike. Williams said he still expects rates will rise this year as the "disinflationary" impact of low oil prices and other outside influences fades, and the U.S. economy continues to expand. Still, "getting some more clarity around what is really happening in the global economy, how is that affecting the U.S. economy, and also seeing continued progress in the U.S. economy -- these are all things I'm watching," Williams told reporters when asked about a possible rate rise in October. Williams, who is among the regional bank presidents who does vote on interest rates this year, declined to specify whether he sees October or December as the appropriate time to go. The Fed next meets in October and again in December. Thirteen of 17 Fed members last week said they still expect to hike rates this year.